From the warm-hearted and generous Dianna over at These Days of Mine it’s … drumroll please… the Liebster Blog Award!! (Please hold your applause) Apparently, this award originated in Germany and ”Liebster” is a German word for friend or love (c’mere you little Liebster, you!!). The Liebster award is meant to bring attention to blogs with fewer than 200 followers. And my blog falls into that category! Scchwwwing! However, lest you think that I’m just goofing off, there are RULES in accepting this award. Serious rules. Ahem. The rules are you have to follow are to: forever and a day tell everyone you know how fabulous and wonderful you think Emjayandthem is and .. ‘er.. oops wrong rules. Express your thanks to the blogger who gave you the award by linking back to them. Check!! Reveal your top 5 picks and let them know by leaving a comment on their blog. Check!! Post the award proudly on your blog. Check!! Bask in the love and adoration from the most supportive people ever -other writers. Check!! And best of all – have fun and share the love! Check!! http://richripley.wordpress.com/ Have a full day’s worth of fiber, in convenient blog form. Rich blogs with humor and truth from America’s heartland. I have laughed out loud more than once reading what Rich has written. http://skoonr.wordpress.com/ Take off on a culinary adventure with Bryan, a lover of fine food. The first post of his that I ever read was not about food, it was about how his dog sits like “Sam” the sheepdog. Hubbs and I always kid around that our dog, Frankie, is only missing one thing: Sam the Sheepdog as his partner in crime. http://coopernicus.wordpress.com/ Coop is clever and thoughtful, irreverent and surprising. And never, ever … dull. http://my91yearoldmom.wordpress.com/ Tom writes of his adventures with his Mom, what he’s learned and where they’re going ..on this journey with Alzheimer’s .. and more. So … not everyone loves blog awards, so if any of you fine folks winning this prestigious award don’t care to play along… I won’t take it personally. But I do hope my readers will take a moment to stop in and visit you. I know this much: I will. And now: here’s my brand new Liebster Blog award, which I shall display with pride! You’ll need to click on the sidebar for his most recent post. I think I sent the link from an older entry. I love his writing style, and it’s so nice to hear a young father’s view on life and his baby son! Thank you, MJ. I appreciate you. Awww…congratulations to you and the fellas you follow. Thank you for the recommendations. PS Go to Google translator, pick German on the left, type in liebster, and check still another sweet meaning on the right in English. Congratulations and well done…and thank you for the blog links. I read LeRoy every day as well. I misread the title – am still laughing! 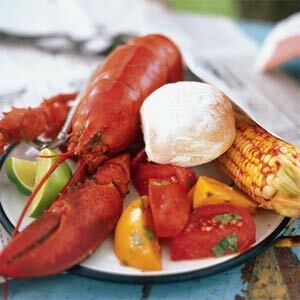 I thought you were throwing ‘LOBSTERS’ possibly to your hubby’s b’day party guests. Had a visual image of you in potholders tossing crustaceans to hungry guests. Too Funny! Congrats on the real topic! I’ll provide the butter…no? ah, well. Thanx. I will display it proudly! I want to thank you so much for not only bestowing this wonderful honor upon me, but secondly taking the time to read my words. I appreciate it so much and, Ich danke Ihnen mit den Tiefen meines Herzens! You have made my day and again thank you ( danke ). I look forward to you next thought provoking post. Thank you for the award MJ. I genuinely appreciate it. I just write what’s in my heart at the time, and coming from such a good blogger as you…it means something. Honestly…I’ll have to do some digging to find a few more blogs, so this homework of reccomending five blogs will take a few days to do it correctly. Thanks for sharing a great list of bloggers! I’ll have to check these out…I regularly visit LeRoy’s blog, but haven’t seen the others. Thanks for Rich Ripley. I think I’ll start following him.